Conjure up India at its most alluring—the mystique of Eastern religions, the swirl of colorful saris, and of course, the magic of the Taj Mahal. 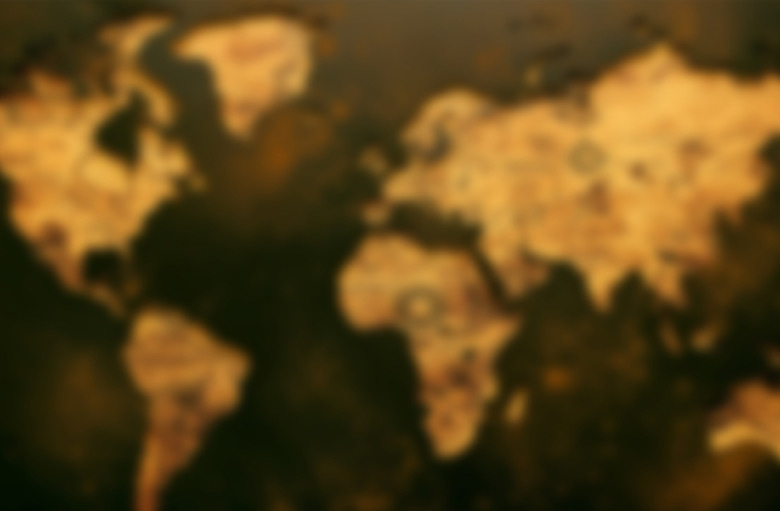 On this grand tour, you’ll experience it all—the sights, sounds and spiciness of the subcontinent. Hit the highlights of the Golden Triangle, with its exotic architecture and prolific wildlife. Then, travel south to Kerala to float on a houseboat through the swampy backwaters and feel the vibe of multicultural Mumbai. No reviews yet for this trip. Browse other reviews below for Go Ahead Tours. Our flight was late leaving San Diego so we missed our flight connection in Salt Lake City. Go Ahead claims they will "take care" of you if something like this happens...THEY DO NOT!. I had to deal with Delta to go standby on a later flight. We were then told by Go Ahead we would have to FIND and PAY for our own transportation from arrival destination to the hotel which was 60 miles. Next day I recognized a person on our tour who was on the same flight we flew standby and they had a DRIVER WAITING...As we were taking off I'm on the phone to the 3rd different person telling them what flight we were on and they couldn't figure out they had another tour client on the same flight! !Go Ahead has a problem dealing with travel plans when they don't go as planned...and they also don't communicate with each other!!!!! We just returned from the Jewels of Alpine Europe. Amazing. Beautiful scenery, great food, wonderful tour director (Jurgen) just a beautiful trip. If you love mountains (The Alps) this is the trip for you.This was my 6th trip with Go Ahead and I have just booked my 7th trip for next year. Being said, I am a member of GoAhead's World Traveler Club. So, according to the catalog, since I have "six prior trips" I should have achieved Platinum status which entitles you to a higher discount and upgraded travel insurance. However, today I was told that although the catalog clearly states "six prior trips" I have to complete next years trip #7 before I am eligible for Platinum status-technically starting with trip #8. Many of you are repeat GoAhead travelers so I just wanted to share this information. All my trips were wonderful but this policy is misleading and deceitful. We did an "amazing" walking tour of the Amalfi Coast on 9/25/2014. From fabulous scenery at every turn, meeting new friends, finding success on the many mountain walks, eating the best food in the world & having the expertise of wonderful tour (Antonio) & local city guides, I once again say, thanks Go Ahead Tours for an unbelievable experience!! We've done numerous tours through Go Ahead and have always been very happy! We would have never done this trip on our own. Leaving the driving to someone else takes away a lot of the stress of traveling! Enjoyable all the way around!! Had a blast on our European tour !!! Go ahead Tours is the best. We just got back from the London/Paris tour. It was the perfect blend of excursions and free time! Tour director was wonderful and so much fun. Guides for the panoramic tours of each city were knowledgeable. Hotel in Paris had wonderful location. London nice hotel, but the location could have been a little better for us. We had a great experience with Go Ahead and our first time in Europe was wonderful!!! I would recommend anytime and will be taking another trip asap. Board your overnight flight to Delhi today. Welcome to India! Arrive late this evening in Delhi and settle into your hotel. Enjoy a restful morning and included lunch, then take a guided tour of Old Delhi. This evening, join your fellow travelers at a welcome dinner. Today, a local guide introduces you to New Delhi. Stop in Sikandra to explore the mausoleum of Akbar The Great with a local guide and enjoy some free time in the beautiful grounds. Then, continue to Agra, home of the iconic Taj Mahal. Spend the day at Ranthambore National Park on morning and afternoon game drives through rugged terrain. Keep watch for big cats (including tigers) and other large predators, like sloth bears, striped hyenas, jackals and Indian mongeese. View rural life during a stop at a local school in Rajasthani Village. Then, journey to Jaipur, known as “the Pink City” for its distinctive terra-cotta hue. Upon arrival, a local guide shows you Jaipur’s historic sites. 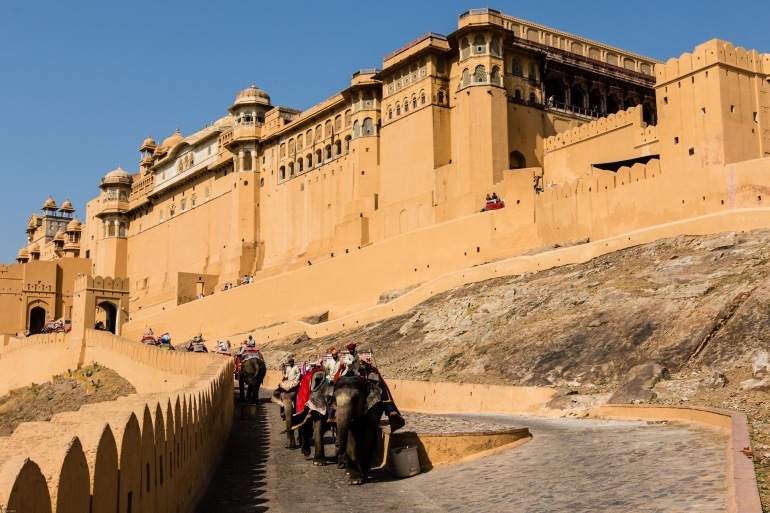 Today, make your way to the 16th-century Amber Fort to take in stunning architecture and sweeping views. After free time to explore Jaipur’s many markets and bazaars, sit down to an included dinner accompanied by a traditional puppet show. Travel back to Delhi. If you’re not extending your tour, you’ll have time to relax in a dayroom before returning to the airport for your overnight flight home. Maidens Hotel is one of Delhi's oldest hotels, built in the early 1900s, and has retained its colonial charm and architecture. Its spacious rooms with high ceilings are unique when compared to the box-sized rooms of modern hotels. Set amidst eight acres of lush gardens, shady trees, it escapes the noise of the main city, but remains within easy access to some of the most magnificent Mughal monuments, and famous shopping center Chandni Chowk with its quaint bazaars and meandering lanes. The sleek Crowne Plaza New Delhi Okhla hotel is a landmark structure in South Delhi, placing you close to local business complexes and multinational companies. Step into our bright and airy Lobby, and cross the marbled floor past the chandelier and sparkling waterfall where our efficient staff are waiting to check you in to your spacious room. With a stay at The Gateway Hotel Fatehabad Road, you'll be centrally located in Agra, convenient to Mosque and the Jawab and Taj Mahal. Treat yourself with massages, body treatments, and facials. You're sure to appreciate the recreational amenities, including an outdoor pool, an outdoor tennis court, and a steam room. Additional features include wireless Internet access (surcharge), concierge services, and babysitting/childcare. Nahar Haveli epitomises regal tradition combined with modern influences. The hotel has an assortment of 47 full deluxe rooms and suites. Aesthetically done interiors match the grandeur of the architecture. The rooms are well-equipped with all modern conveniences, having individual temperature controls and attached tub-baths and showers. Tall trees, flowering vines and multiple arches encircle the swimming pool. The plush and spacious interiors at Lemon Tree Premier take the zing up a notch. This chain of upscale business and leisure hotels elevates the Lemon Tree experience while retaining the same freshness, quirkiness and energy that Lemon Tree is well known for. Lemon Tree Premier pampers the style conscious and upbeat traveler with its personalized services, premium in-room amenities, award winning restaurants and fun experiences. If you cancel your reservation, the cancellation fee schedule below will apply. If you are booked in a double/twin room and your roommate cancels his or her tour more than 45 days prior to departure, you will be responsible for paying the single supplement fee. Upon notifying GAT of your cancellation, you will be given a confirmation number that verifies your cancellation. If you purchased travel protection and are cancelling for a reason covered under the policy guidelines, cancellation fees will be reimbursed to you directly from the insurance company. In the event that you have to cancel your tour on the day of departure, you must notify GAT prior to the departure of your first flight. Any penalties for supplemental services/guarantees (including, but not limited to, flights, hotels or late additions) resulting from cancellations made at your request will be your responsibility, and all service fees are non-refundable. Substitution of travelers is not permitted. If you choose not to travel, but fail to cancel your tour prior to the departure date or if you return home before the scheduled completion of your tour, you will not be eligible for any refund or reimbursement from GAT for any unused portion of your trip or costs incurred by leaving your trip early. For travelers with the travel protection policy (goaheadtours.com/travelprotection), Go Ahead Tours will reimburse the participant in the form of a credit voucher in the event the participant wants to interrupt their tour due to reasons not covered by their travel protection policy. The voucher is valid for one year from the day of the interruption of the tour and represents the value of the missed time on tour including any unused air, land or sea arrangements already paid for by the participant up to a maximum of $1,000 as determined by Go Ahead Tours. The voucher is personal and non-transferable and may be applied towards a future Go Ahead tour and is not exchangeable for cash. The participant is responsible for any additional costs incurred by interrupting the tour including but not limited to the return flight and other transportation costs due to the interruption. Reservation fees, rebooking fees, change fees, late and returned check fees, revision fees, supplemental fees for international deliveries and special arrangement fees are considered Used Fees once incurred and will not be refundable. *Percentages listed above are of the total tour cost, including reservation fee. Listed cancellation fee is applicable per traveler.